After a long day of fishing, your angler will want to relax with a cold drink. 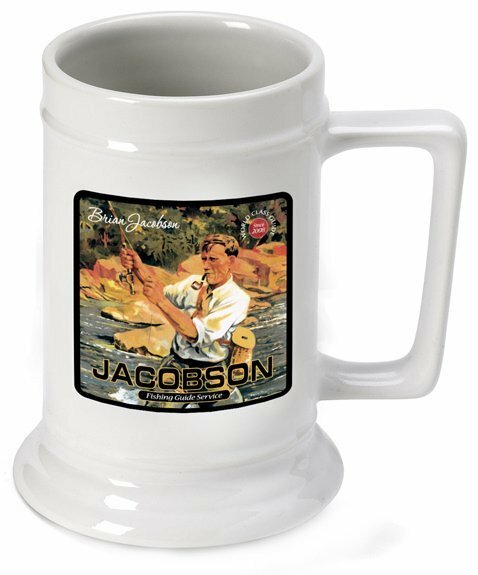 Help them relive their favorite pasttime with this personalized beer stein, finished with an old-fashioned fly fishing image and a bit of fishing philosophy. The stein dubs itw owner a "worl-class guide) and supplies some wisdom for spending time on the water. 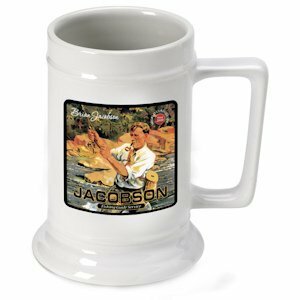 The white ceramic mug holds 16 ounces of their favorite beverage, and can be personalized with first and last name and year.